Change in 2018 Celebration – Pride Houston, Inc. Pride is a special occasion and one to be commemorated. Tradition is that Pride, including the Houston LGBT Pride Celebration®, is celebrated the last weekend in June. This year poses a particular challenge in continuing that tradition for June 2018. As you may be aware, the City of Houston produces the annual Freedom over Texas July 4th Celebration along Allen Parkway. Typically there is a minimum of seven (7) calendar days between the Houston LGBT Pride Celebration® and the Freedom over Texas Celebration. 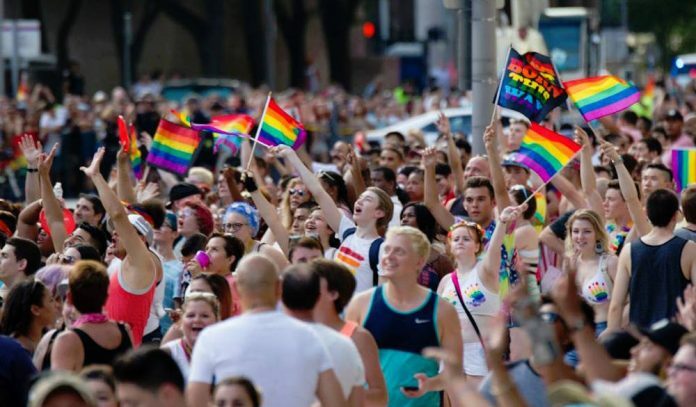 This time allows Pride vendors to breakdown the weekend and the City’s vendors ample time to begin setting up for the Freedom over Texas Celebration. The 2018 Pride Celebration® weekend would have been on Sunday, June 30, 2018. This would give the city only a little over two (2) days to set up their event which is a very short turnaround time. With that minimal time difference between our celebrations we’ve been asked to move our Celebration back one (1) week. The new date for the Houston LGBT Pride Celebration® is Saturday, June 23, 2018. We have been partners with the City of Houston’s Office of Special Events for decades and they have been amazing to work with. They consistently offer up the entire city’s resources to assist with our event, which has the second largest parade in the city, only after the Rodeo! After receiving a communication that the weekend of June 30, 2018 would be unavailable, the Pride Houston® board of directors reviewed all the facts and unanimously voted to move the Houston LGBT Pride Celebration® to Saturday, June 23, 2018, and to review future years for any possible re-occurrences of this same issue. We are also researching all other celebrations that typically occur before and after ours so that we do not interfere with them. Pride Houston® looks forward to the Houston LGBT Pride Celebration® on Saturday, June 23, 2018 as we celebrate the 40th anniversary of our event. Be sure to like or follow us on our social media platforms (i.e., Facebook, Instagram and Twitter) to stay up to date on all the official Pride events and festivities.